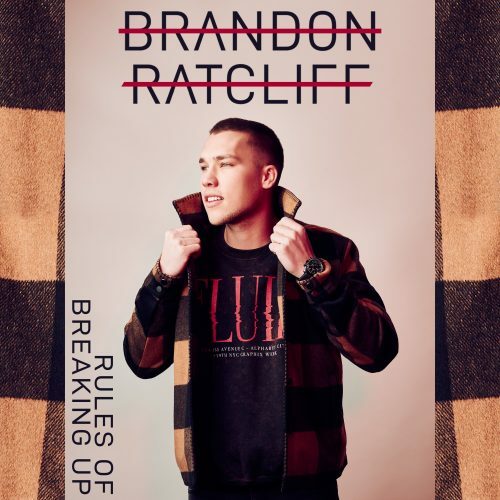 Singer-songwriter Brandon Ratcliff releases his debut track, “Rules of Breaking Up” on Monument Records. The release of the new song coincides with the announcement he will be supporting the Kelsea Ballerini & Brett Young Miss Me More Tour, which kicks off on April 11th, 2019. “Growing up in a musical family, I’ve dreamed of having my own music out for so long, I am so excited to finally release “Rules of Breaking Up” as the first introduction to the rest of the record. Can’t wait to get this music out and to get to play it on the road this spring with Kelsea and Brett on the Miss Me More Tour!” said Ratcliff. Brandon Ratcliff is a 24-year-old singer-songwriter and artist from Cotton Valley, Louisiana. Son of Suzanne Cox of the legendary Cox Family, he was surrounded by music and began to hone his craft from a very young age. His talents quickly attracted the music business machine in Nashville, but at the age of 20, he decided to turn down a publishing deal and work on his craft… he would not take the quick and easy route. In the process of finding great co-writing partners, he befriended Pete Good (producer and co-writer) and AJ Babcock (co-writer) who would go on to become his closest friends outside of the studio. Together, they honed Ratcliff’s musical talent drawing from country, R&B and classic rock to Ratcliff’s personal inspirations such as Stevie Wonder and John Mayer. Eventually, Grammy-award winning producer Shane McAnally teamed up with them, and the result is a bold, fresh look at the seasons of relationships delivered by an artist with a clear point of view and a distinctive sound. With all of this in hand, Ratcliff is poised to have a breakout debut.